The Pioneer S9 features active noise-cancelling technology to immerse you completely in music without interference from surrounding noise. Further, Ambient Awareness Mode allows the right amount of sound in from the outside world. With a newly featured Assistant button, you can skip or pause songs, get notified about new messages, and search via voice control without pulling out your smartphone. 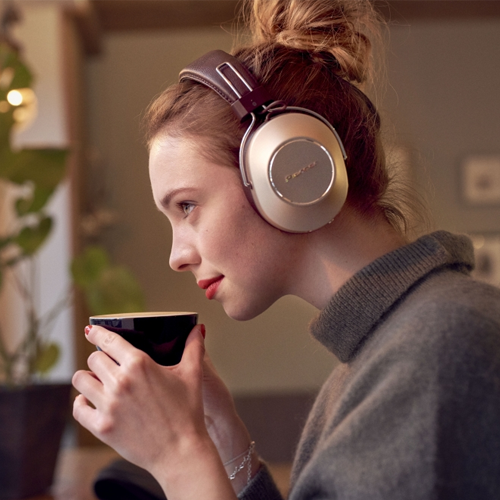 Bluetooth® technology supports Qualcomm® aptX™ HD audio*, enabling high playback quality with the freedom of a wireless connection. Thanks to a built-in high-capacity battery, continuous 24-hour music playback is possible - great for long flights. Premium finish with aluminum housings and use of textured, comfortable materials add a quality accent to your everyday style. No more snagged cables or digging around for phones just to lower the volume or pick up a call. Be free, tethered to your phone’s best features wirelessly. Bluetooth supports standard SBC and high-quality AAC codecs for outstanding audio quality. With intuitive housing buttons at your fingertips, you can take, make, and end phone-calls; skip tracks; adjust audio volume; and access the Google Assistant with ease. Need directions? Want to make a call by just using your voice? How about hands-free music control? You can do all this and more with the S9 optimized for the Google Assistant. Continue your conversations while on the go and easily access the best of Google, from Google Play Music to Google Maps. You can quickly enjoy entertainment, stay connected to friends, get information, and manage your day all without glancing at your phone. Listen to your favorite songs, have notifications and messages read to you, or set reminders and timers. Just press and hold the button to start a conversation with your Google Assistant. * Subscriptions to music streaming services may be required. Some third-party apps may not be compatible with the Google Assistant and S9. The Google Assistant is not available in certain languages and countries. Lightweight internal battery provides as much as 24 hours operation including playback. That’s enough to cover long flights without needing replenishment, which takes about four hours via supplied USB cable. Supplied headphone cable lets you keep listening should the battery ever run low. As well as being a revered brand in audiophile circles, Pioneer has experience developing devices to assist the hearing impaired. 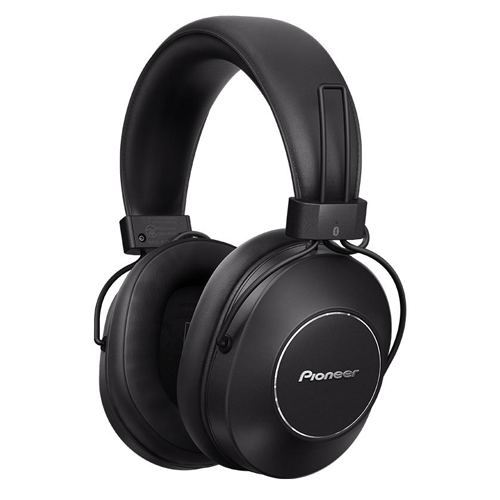 This technical experience helps make Pioneer’s active noise-cancelling technology among the most effective. External noise frequencies are neutralized with frequencies generated in opposite phase. Music blooms into a relaxing, comfortable, and satisfying listening experience. Ambient Awareness Mode, meanwhile, allows just enough sound in. 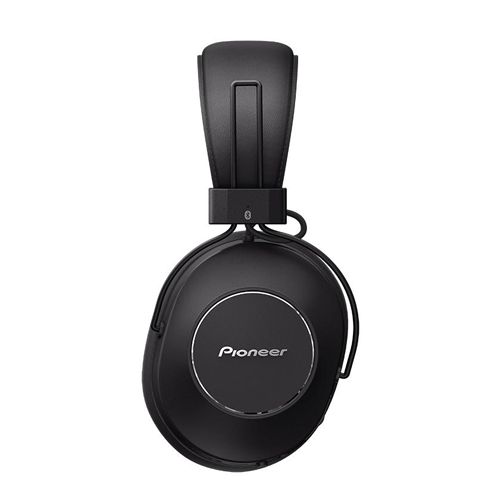 Developed exclusively for Pioneer headphones, the new and expansible Pioneer Headphone App offers quick and smooth wireless connection to your compatible smartphone, easy access to call-enhancement functions, and one-touch switching between noise-cancellation modes. Future app updates will bring some cool new functions that enhance music life even further. Note: Functional during wireless connection only. 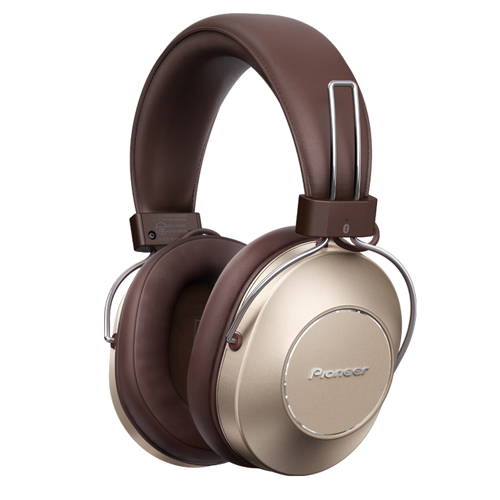 Comfort is expected from quality headphones, but Pioneer takes it further. We examined every aspect of design to maximize immersion and comfort, cushioning pressure-points and distributing weight for extended listening without fatigue. In the S9, we’ve perfected a balance of flexibility and firmness to fit your head shape. 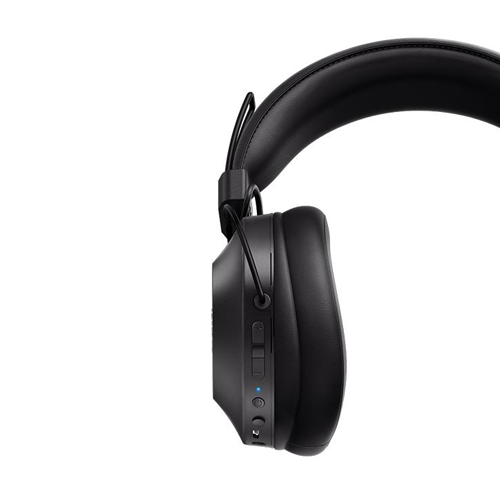 Adjustable hangers, low-profile earpads that surround the ear, wide headband with polyurethane cushion, and ergonomic earpads that properly align with the head all contribute to exceptional comfort. If deep, punchy bass and a lively mid-range for intimate vocal presence sound good to you, wait till you hear the S9. Large 40 mm rare-earth-magnet drivers produce rich, dynamic bass sound while lightweight but highly conductive CCAW voice-coils express low, mid, and high frequencies with amazing clarity - the perfect companion to your Hi-Res Audio* library. * With supplied headphone cable connected to a compatible player. Qualcomm® aptX™ HD audio ensures your Bluetooth-enabled S9 can reproduce high-definition audio at up to 48 kHz/24-bit (LPCM). Like aptX, which facilitates wireless playback indistinguishable from CD quality, aptX HD audio preserves data integrity with a unique transmission method resulting in a better-than-CD listening experience. With aptX HD audio, you can enjoy HQ music without cable hassles. * Requires Qualcomm aptX HD audio-compatible source device. Pairing the S9 with your compatible phone, DAP, or audio component couldn’t be easier. Just touch your NFC-enabled devices together, and they connect automatically.